An overnight sabotage temporarily disabled City of Mount Vernon's entire DPW truck fleet, including snow plow trucks and salting truck, a city spokesperson said. 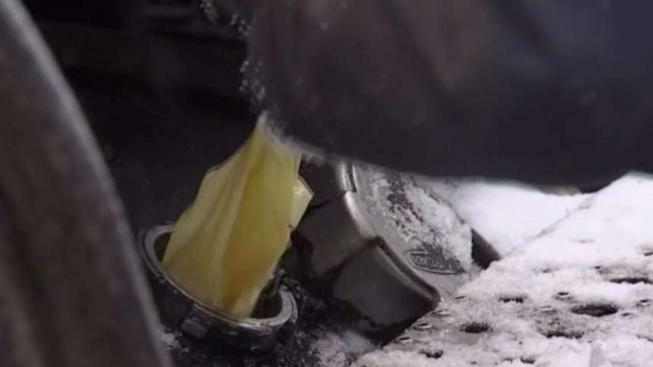 Latex gloves were stuffed into the fuel tanks of all DPW trucks, which prompted them to break down when they went out at 6 a.m. Tuesday, the city's spokesperson said, adding when officials went to see what was wrong, they allegedly found the gloves. A total of 13 plows and 16 sanitation trucks were vandalized, officials say. "They started going truck by truck and low and behold rubber gloves were found inside all the tanks,” Edgar Torres, the garage superintendent, said. 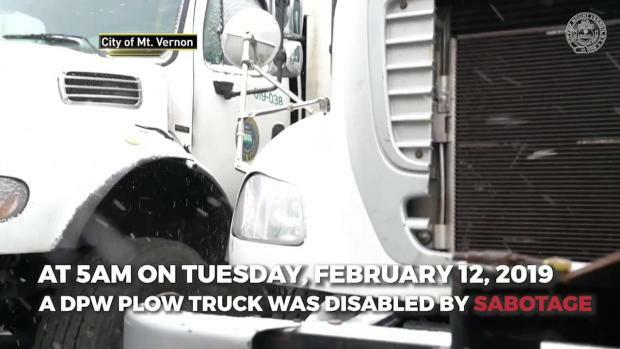 An overnight sabotage involving latex gloves temporarily disabled all of the City of Mount Vernon's DPW trucks, including snow plow trucks and salting truck, a spokesperson for the city in Westchester County, New York, said. There was no permanent damage as all the gloves were removed and the trucks were back on the road by 10 this morning, but police are investigating the incident as an act of vandalism. One or more people are believed to have entered the garage at 20 Canal St. between 3:30 p.m. Monday and 5 a.m. Tuesday and stuffed latex gloves in the gas tanks of the city’s municipal trucks, city officials say. Mayor Richard Thomas called the vandalism an attack on all the residents of Mount Vernon. Thomas asked that residents limit their use of the city’s streets on Tuesday afternoon while city works complete their plowing and salting that was delayed for several hours by the incident.